In this brilliant investigation, one of our premier scholars of American foreign policy contends that both pro- and anti-Zionists have unintentionally collaborated in a myth of monolithic American-Jewish support for Israel that exaggerates Jewish unity concerning Israel, overstates the influence of Jewish lobbyists, and underestimates the potential for change in the Israeli-American relationship. Mead unveils the little-known incidence of non-Jews such as J. P. Morgan and John D. Rockefeller lobbying for a Jewish homeland well before the foundation of the modernist Zionist movement. 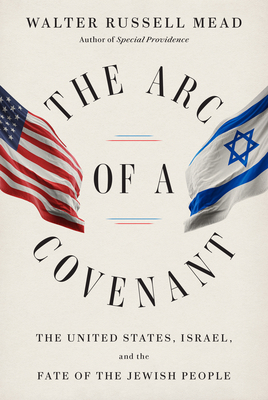 He makes clear how, in contrast, many Jewish Americans feel at odds with Israel's right-wing nationalists; and how developments under both George W. Bush and Barack Obama drove the most heated American debate over Israel since the 1940s. Throughout, Mead's singular intelligence and lively prose penetrate layers of opaque history and politics, illuminating a better way forward. WALTER RUSSELL MEAD is James Clark Chace Professor of Foreign Affairs and Humanities at Bard College, Distinguished Scholar in American Strategy and Statesmanship at the Hudson Institute, and the editor-at-large of The American Interest. He served as the Henry A. Kissinger Senior Fellow in U.S. Foreign Policy at the Council on Foreign Relations and as a Brady-Johnson Fellow in Grand Strategy at Yale University. His other books include, most recently, God and Gold: Britain, America, and the Making of the Modern World. He is a frequent contributor to publications including Foreign Affairs and The Wall Street Journal, and his popular blog, Via Meadia, appears at The American Interest online.